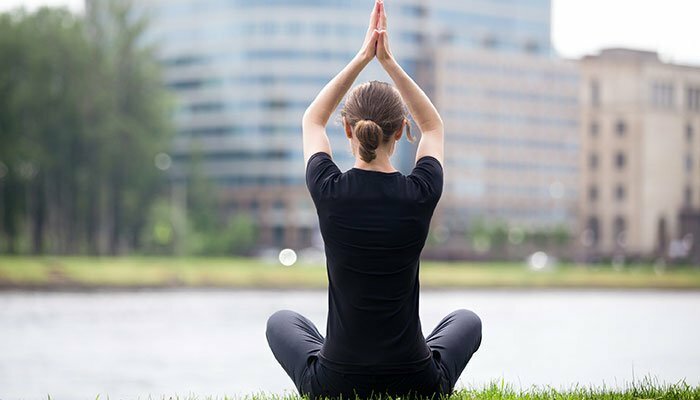 Employee wellness programmes have become a significant topic of conversation over the last number of years, particularly as awareness of the mental health and wellbeing of employees has become so relevant, writes Kate McNamara. With people spending the majority of their day in increasingly isolated situations - whether it's sitting at a desk, inside an office cubical or performing repetitive and manual tasks - promoting and maintaining a healthy lifestyle and mental health awareness is now paramount. Ignoring an employee's wellbeing often leads to a decline in the overall health of a workplace, lower employee productivity, increased absences and hence, lower profitability for the firm. Ideally, the workplace should be a place that protects the safety and wellbeing of employees, while providing them with opportunities for better long-term health. As a result, more and more employers are now looking for specialist advice and expertise to help reduce workplace absences and to provide rehabilitation services and assistance with medical treatment. This then allows them to take a more proactive role in ensuring their employees are supported in times of illness and encouraged to return to work as soon as possible. Our experience at Zurich shows that the longer an employee remains away from the workplace on sick leave, then the more difficult it becomes for that employee to return to work. The employee becomes de-conditioned, loses basic skills, loses confidence and settles into a 'sick leave' lifestyle - all of which can be difficult for employees to overcome. Although most employees want to return to work, it becomes increasingly difficult to do so the longer they remain absent. However, a well-managed intervention by an employer can significantly reduce the risk of an absence becoming long-term and ultimately can benefit the future prospects for both the employee and the employer. Early intervention by an employer, with the help of Zurich, can actively assist in preventing long-term absences from happening. Zurich has developed a programme that encourages employers to refer their employees to us (as early as six weeks into an employee's absence) in order to review whether they require additional support while on leave. Using the expertise of our Chief Medical Officer, a dedicated case handler and various medical specialists, we can recommend medical treatment, and where appropriate, fund this for the employee to aid a speedy recovery. Zurich monitors the progress of the employee, providing further assistance when necessary while being mindful that they are currently experiencing a difficult time in their lives. Ultimately, the aim is to help them recover from illness or injury and return to work at the earliest possible opportunity. However we don't just stop there. Our research shows that once treatment has proven to be successful, the vast majority of employees on longer-term sick leave can benefit from the social interaction and routine that they get by rejoining the workforce. It is for that reason that we often recommend that employees on sick leave return to work on a graduated basis. As part of the Zurich programme, where appropriate, we introduce a tailored phased 'return to work' plan for an employee. In addition to gradual return to work plans, we help provide employees on sick leave with rehabilitation and retraining courses to actively support their return and re-integration into the work place. The benefits of our Early Intervention Programme to employers and their employees are obvious. Employees benefit from the availability of medical opinions and treatment that otherwise might not be available due to cost (or waiting list restrictions) and ultimately, they benefit financially from an earlier return to work. It also helps prevent them falling into a 'sick leave' lifestyle which can have a damaging effect on their long-term health, their career prospects and their own personal goals. For an employer, it has the added impact of controlling the cost of their sick leave and disability scheme. We've discovered that since launching the programme, employers have greatly appreciated the assistance provided in managing their sick leave. While every organisation has the responsibility to maintain, support and promote an environment in which an employee feels a sense of wellbeing - there will always be times when an employee experiences changes in their physical and psychological health that requires a little extra assistance in tackling. Zurich's Early Intervention Programme is specifically designed to provide employers with the tools to help their employees (once recovered) quickly re-integrate back into the workplace - and continue their valuable contribution to their company's success. If you'd like to know more, please contact kate.mcnamara@zurich.com.